I was thinking about similarities and differences between pesach and Shavuot, and one thing I thought of was pesach’s special emphasis on children. The youngest sing mah nishtanah, and we talk about the four sons, and there’s a focus on asking questions and giving answers and educating our children about this pivotal event in our people’s history. The text and traditions keep the little ones involved in the pesach seder throughout the night (or until they fall asleep after the afikoman!). On the other hand, there isn’t really anything about children and sukkot. There’s no special mitzvah of educating them, and sometimes it just feels like a basic yom tov where you eat outside. SUKKAH ARTWORK. I’ve written about this on the blog before, but a great way to get your kids invested in the sukkah is to get them to decorate it! A house only becomes a home when you make it your own, and it’s the same thing with a sukkah. 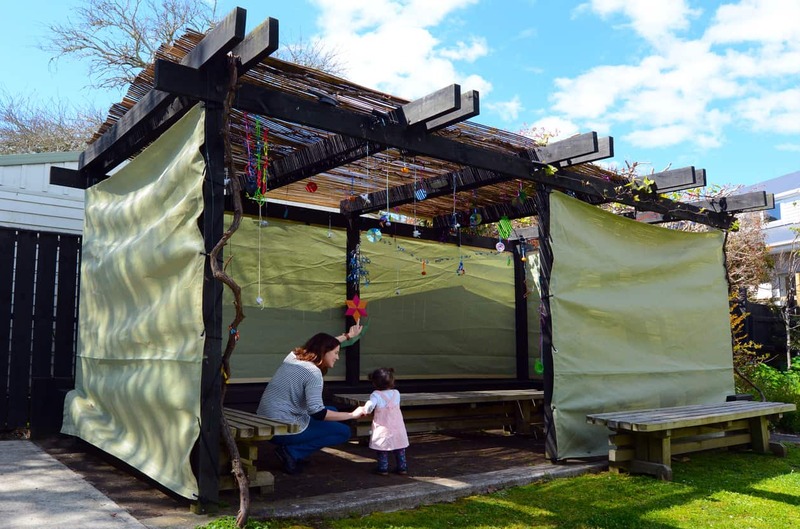 If you want your kids to feel that the sukkah is their home for seven days, they need to be involved in its decoration as well as its construction. Paint, draw, color, paper chains – whatever your kids do, channel their talents and energies to making the sukkah an amazing home for all! USHPIZIN. Each night of sukkot we welcome one of the seven ushpizin (guests) to our place: Avraham, Yitzchak, Yaacov, Moshe, Aharon, Yosef, and David. There are also seven ushpizot, who are also the seven prophetesses: Sarah, Miriam, Avigayil, Esther, Huldah, Hannah and Dvora. Each night in your sukkah, discuss with your children the ushpiz and ushpizah for that night. What’s the connection with these people and sukkot? What middot can we learn from them? It’s a great opportunity to learn more about these great role models in Jewish history and connect them to our lives in general and to the holiday specifically. LULAV AND ETROG. An easy one but so so important. Make sure your kids shake the lulav every day! Hakafot too. Being in shul with lots and lots of lulavs and etrogs is quite the sight to see, and it’s a great way to get your kids to feel a part of the community. Shake shake shake that lulav! So whether you’re away on Jewish travel or making the holiday at home, there’s plenty of ways to get your kids involved and engaged in this amazing holiday! This year, let Leisure Time Tours plan a kosher Sukkot vacation for your whole family to enjoy. Call us today at 718-528-0700 to find out more.